Pvt. Shamika Burrage, 21, has a new left ear after undergoing reconstructive surgery at William Beaumont Army Medical Center (WBAMC), located in El Paso, Texas. 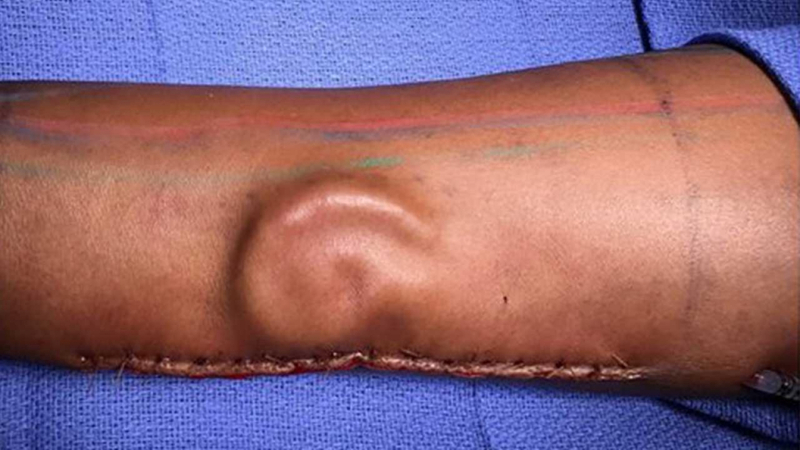 Her new ear was created out of cartilage taken from her ribs, then shaped like an ear, and implanted under the skin of her forearm to allow the growth of new blood vessels. This surgery is a first for army physicians and is a combination of procedures used in plastic surgery reconstruction for congenital malformations of the external ear most common in birth defects in children.